Ever since inception, our organization is engaged in providing an extensive array of drinking water treatment plants, package water treatment plants, and municipal water treatment plants to our valued clients. These are designed and developed with the help of premiere quality components, high-end technology. 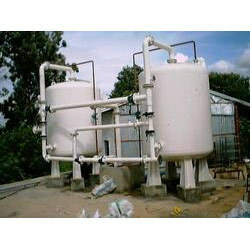 Our designed package water treatment plants are in tandem with international quality guidelines. Our manufactured plants help in iron removal, water softening and demineralization. In addition to this, our valued clients can avail these reliable plants from us by paying through variegated simple modes, as per their convenience. We provide these products to clients at industry leading price.